I am dedicating this post to my absolute favorite piece of running apparel: the running skirt (also known to some as the skort.) Between my multiple jobs in the health and fitness industry and my training as a runner, I essentially live my entire life in running clothes. While this is totally awesome from a comfort standpoint, at times it can make me feel a little grungy and somewhat less-than-fabulous. And THAT is completely unacceptable for a girl who writes a blog called “The Fast and the Fabulous”. This is why I love running skirts. Not only are they the perfect blend of fashion and function, they also keep me feeling feminine, fabulous, and ready to take on any sweaty exercise challenge that may come my way at a moment’s notice. Now, I know there are a lot of running skirt skeptics out there, but I am confident that this post and its comprehensive “5 F” running skirt critiquing system will help even the most skirt-skeptical shopper find something to appreciate about running skirts. The bright and breezy Brooks PR Mesh Skort. Fit: This breezy little skort offers a 14″ outseam that provides a flattering fit for a wide variety of body types. I personally find this length to be ever so slightly more skirt than I really need, but if modesty is a virtue of yours, you’ll probably really dig it! (The inner compression short has a modest and chafe-resistant 4.5″ inseam.) Judging from my personal experience with this piece and the Brooks Size and Fitting Guide, I think it is safe to say that the PR Mesh Skort fits true to size. Silicon gripper tape on the inner compression short to eliminate riding up and chafing. These compression shorts aren’t going anywhere! 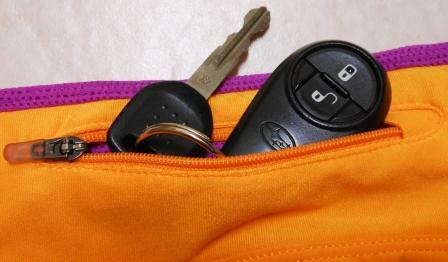 Inner compression short Velcro closure hidden pocket perfect for stashing your iPod, ID, car key, or an energy gel. Who doesn’t love a super-secret hidden pocket? 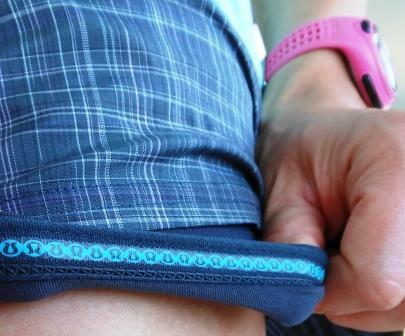 Back zipper pocket for securely storing additional running accouterments. The all-important rear zipper pocket. Function: The PR Mesh Skort ranks reasonably high on my list of running skirts that I would actually run in. It’s light-weight, ultra-breathable , quick-drying mesh fabric keeps it cool and comfortable even on steamy central North Carolina summer runs, and it is just the right length to offer a little extra booty coverage without limiting movement. Fashion: This piece comes in several fun colors as well as basic black and gray, so you should have no trouble finding an option that coordinates with your favorite running top and shoes! Frugality: Believe it or not, at a suggested retail price of $48.00, the PR Mesh Skort occupies the lowest price point of all the skirts I’ve reviewed. With all of its great features and its airy, technical mesh fabric, I am proclaiming it the best value of all of my featured running skirts! Fit: With a whole host of exciting bells and whistles and plenty of fancy, techy fabric (which we will be discussing shortly), this skirt looks amazing on paper and there is an excellent chance that it will look amazing on you too! Lulu’s “luxtreme” fabric, which the Pace Setter’s wide waist band and inner compression shorts are made of, totally lives up to its name. This plush, super-soft material feels down-right heavenly next to your skin. The lightweight 4-way stretch “swift’ fabric that the skirt is made of is quite dreamy as well. 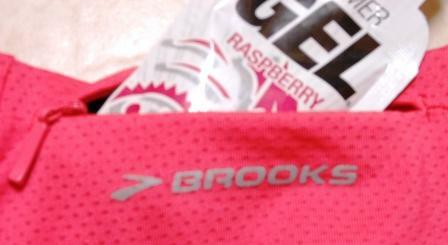 Slightly shorter than the Brooks skort, the Pace Setter measures 12.25″ in the front, and 13.25” in the back. I seem to fit nicely into the size that the Lululemon sizing guide recommends based on my waist and hip measurements, so I am deeming this skirt to be another true to size fit. Features: Kudos to the skirt -savvy folks at Lululemon for totally tricking this skirt out with a veritable smorgasbord of groovy features! As seen in the previously the mentioned Brooks skort, no ride-up silicon gripper tape (bearing the Lululemon logo, of course) keeps the compression shorts right where you want them. You surely won’t get your shorts in a wad with these fancy Lulu logo grippers! Stash your mid-run snack here! Lululemon would never overlook the classic rear secure zipper pocket to keep your car key accounted for. Where would we be without the rear zipper pocket? An ingenious continuous drawstring allows for adjusting waist fit and eliminates any risk of finding one’s self in the dreaded my-shorts-ate-my-drawstring-in-the-laundry conundrum. Function: Although there is much to love about the Lululemon Pace Setter Skirt, and I can certainly appreciate the effort that has gone into making it a piece that balances function and fashion, I can’t help but feel that for me it is perhaps a little to luxurious and adorable for running. The idea of getting that cute little ruffly skirt all sweaty just seems sinful! There is no denying that the Pace Setter is a super-comfy, fun, and fabulous skirt, but I personally prefer it for coffee dates, long work days at the running store, and errands around town, as opposed to hard, sweaty workouts. Frugality: As you may already know, frugality is not much of a priority for Lululemon. Therefore it probably comes as no surprise that at $58.00, the Pace Setter weighs in as the priciest skirt on my list. 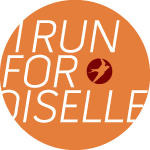 Fit: Mad props to Oiselle for their innovative take on the running skirt! The Bum Wrap’s compression shorts feature a 4″ inseam plus a little extra flair in the form of a fun, flirty little skirt wrap. It’s comfy high-compression, 4-way stretch fabric translates into a snug, yet accommodating fit. This could just be the prefect blend of fashion and function! Just be advised that the perfect blend of fashion and function runs a little small. I would definitely recommend sizing up one size. Features: Unlike some of the other skirts featured in this post, The Bum Wrap is very no-nonsense and free of drawstrings, hidden pockets, and other features fanfare. It is this delightful simplicity that makes this sassy little skirt truly fast and fabulous. One nifty feature that The Bum Wrap does offer is a stylish side split to maximize freedom of movement in any workout scenario. This sassy split maximizes mobility! There are runs where you need to pack a variety of nutrition items, gadgets, and accessories, and then there are runs where you cannot be distracted or weighed down by all of that extra stuff. The latter Zen runs are the runs for which The Bum Wrap is prefect! Note: So, I know you are probably thinking “Simplicity is all well and good, but I would really love at least one little pocket to hold my car key.” Fear not! I recently had the pleasure of viewing Oiselle’s new Fall line, and low and behold, the Fall Bum Wrap has been updated to feature a front side zipper pocket to serve that very purpose! Be on the lookout for the updated Bum Wrap, coming soon to a running specialty store near you! Function: This was far and away my favorite skirt to run in! The Bum Wrap’s short shorts and even shorter skirt wrap make it the least skirt-y of all my favorite running skirts and that is the true beauty of this piece. The Bum Wrap does precisely what the name suggests: it covers your bum and not much more! This provides the Bum Wrap wearer with the modesty that compression shorts lack without the extra material of a traditional running skirt. And as much as I love running skirts, I am inclined to save them for easier, shorter runs and non-running use due to the fact that they do have a little more material than shorts. This leads my brain to believe that they may be making me less aerodynamic and possibly not keeping me as cool as my shorts might on steamy summer days and/or demanding long runs and workouts. I love that the clean, minimal design of the Bum Wrap never gets in my way and always keeps me feeling my fastest! The Bum Wrap: A truly track-worthy running skirt! Fashion: The Bum Wrap’s comfy compression shorts peek out from underneath the skirt giving it an athletic, sportier-than-your-average-running-skirt appeal. Just look at all this sportiness! It’s slightly less girly look and focus on speed and functionality make it an ideal choice for the “skirt curious” runner who is intrigued by the skort’s principles of modesty and fashion, but just can’t bear the thought of running in a garment that could potentially be mistaken for a tutu or grandma’s skirty bathing suit. Frugality: Despite its simplicity, the Bum Wrap retails at $56.00, earning it a silver medal in pricey-ness, coming in just $2.00 lower than the Lululemon option. Keepin’ it real post-run in the Unlined Woven Skirt from Nike. Fit: The Unlined Woven Skirt from Nike has a great clean, flat-front cut that is sure to look flattering on many. According to my personal measurements (I couldn’t seem to find the official-from-Nike specs on this piece in all of my vast running skirt internet research), we are looking at 12″ of skirt length and compression shorts with a 4″ inseam. If my calculations are correct, this makes it the 2nd shortest of all the skirts featured in this post. It is my belief that when it comes to running skirts, less is definitely more, so this is a beautiful thing! Again, I found that the size that fits me best is consistent with the size recommended for a person with my measurements on the Nike sizing guide. This skirt gets the signature Fast and Fabulous double-thumbs-up for fitting true to size! Features: If you are a fan of pockets, then this is definitely the skirt for you! It has 3 of them! I bet you’d never have guessed that the third pocket is the classic rear secure zipper pocket, a proven running skirt industry standard and must-have for keeping your keys and other small items safely contained while you run! The rear zipper pocket, because that keyless entry thing just flops around too much when you tie it into your shoelaces. Function: The Unlined Woven Skirt’s shorter length and super light-weight, stretchy fabric make it a close runner-up to the Oiselle Bum Wrap for the title of My Favorite Skirt to Run In. Its basic design and prefect balance of fun practical features earn it plenty of high functionality marks in my book! Fashion: Nike always does a great job of producing their pieces in pretty much every color imaginable. This skirt is no exception. I dare say that there is an Unlined Woven Skirt option out there to fit in with anyone and everyone’s favorite running outfit color scheme. Furthermore, some color variations (like my Tangerine/Magenta skirt) come complete with exciting geometric-patterned compression shorts! Of course you can always count on plenty of fully color coordinated Nike top options to complete your Unlined Woven Skirt outfit. Frugality: Priced to move at $52.00, the Unlined Woven Skirt lands right in the middle of the pack in terms of frugality. Another highly functional and fashionable option at a slightly-lower-than-average price point. So there you have it; my fast, fabulous running skirt rundown! I hope all of you running skirt enthusiasts out there have found the “5 F” guide to be helpful in zeroing in on a skirt that is ideal for both your fitness and fashion needs! And for those of you who are skeptical of the running skirt phenomenon, I hope this post has opened your eyes to some skirt options that are just as fast and functional as they are fabulous! As always, much love to Allie for all of her insightful blog consulting and editing, my numerous patient and good humored running friends turned photographers who kindly snapped several million running skirt pictures without rolling their eyes too much, to Cat, who continues to be my BFF and to dutifully read my blog even though she thinks running skirts are super lame, and to all of you for reading!